Talking Fresh is a free two-day writing festival for aspiring writers and anyone interested in reading from Regina and surrounding area. Join our Canadian writers Oana Avasilichioaei (poetry), Joan MacLeod (playwriting), Waubgeshig Rice (fiction), and Alexandra Shimo (non-fiction) as they explore how writing can help us translate ideas, voices, and languages. 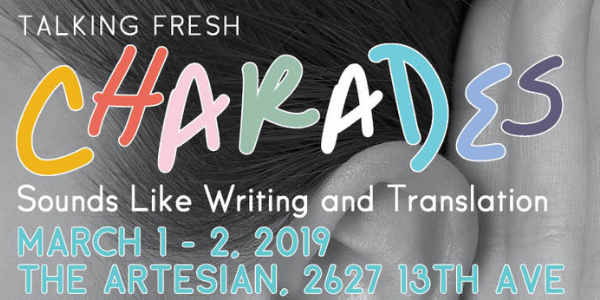 Talking Fresh begins on Friday, March 1 at 4:00 pm with a panel discussion on the weekend’s theme involving all four writers. The evening will feature a catered reception and readings by each writer. On Saturday, March 2, the writers will conduct workshop-style sessions focusing on the craft of writing in their genres. These sessions are intended for writers of all levels and the festival is open to the public. For more information, visit www.skwriter.com.